On 17 September 1944, General Kurt Student, the founder of Nazi Germany’s parachute forces, heard the growing roar of aeroplane engines. He went out on to his balcony above the flat landscape of southern Holland to watch the air armada of Dakotas and gliders carrying the British 1st Airborne and the American 101st and 82nd Airborne divisions. He gazed up in envy at this massive demonstration of paratroop power.Operation Market Garden, the plan to end the war by capturing the bridges leading to the Lower Rhine and beyond, was a bold concept: the Americans thought it unusually bold for Field Marshal Montgomery. But could it ever have worked? The cost of failure was horrendous, above all for the Dutch, who risked everything to help. German reprisals were pitiless and cruel, and lasted until the end of the war. The British fascination with heroic failure has clouded the story of Arnhem in myths. Antony Beevor, using often overlooked sources from Dutch, British, American, Polish and German archives, has reconstructed the terrible reality of the fighting, which General Student himself called ‘The Last German Victory’. 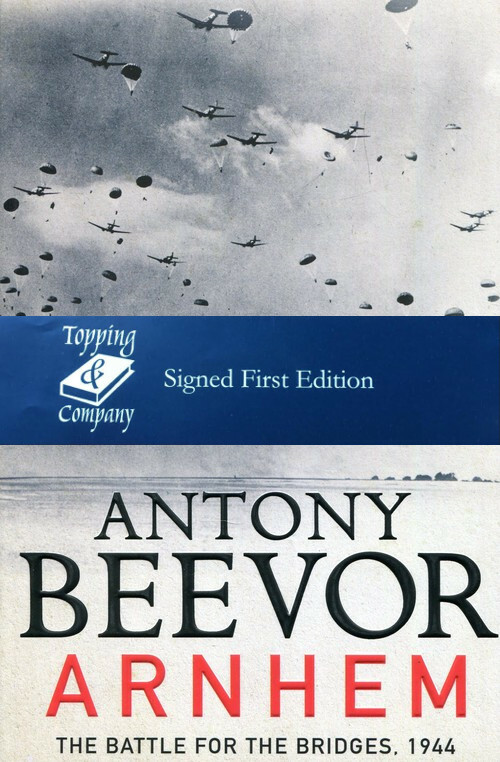 Yet this book, written in Beevor’s inimitable and gripping narrative style, is about much more than a single, dramatic battle. It looks into the very heart of war.